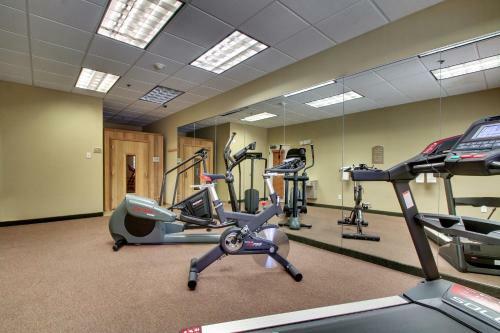 Rooms from $112.80 per night. 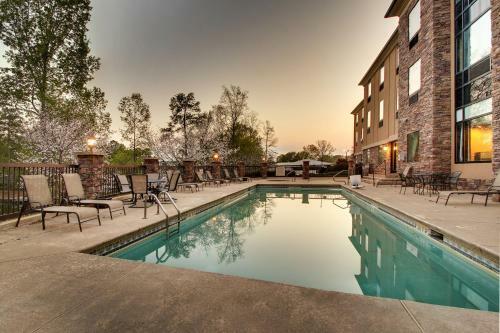 Description This Eatonton, Georgia hotel has an outdoor pool and free internet access. 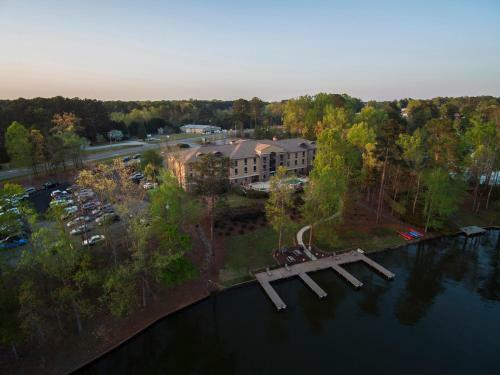 This lakefront Georgia hotel offers expansive views of Lake Oconee water sport rentals and an outdoor pool. 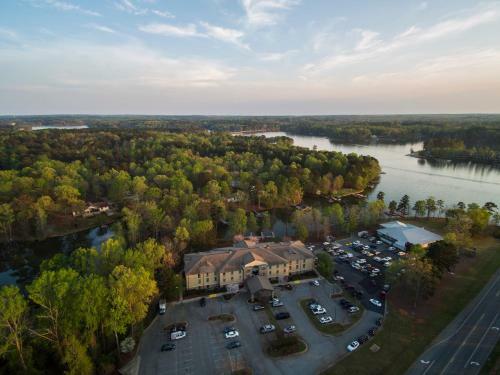 Guests can start their day with a continental breakfast and then explore the lake on a kayak.All guest rooms feature a microwave small refrigerator and desk with a chair. 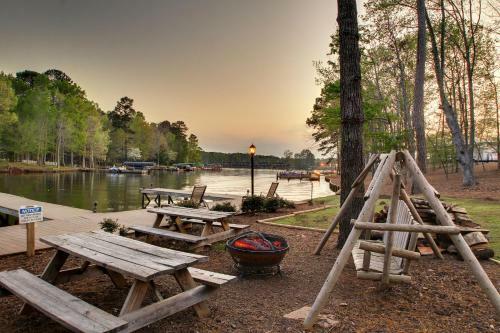 The Lodge on Lake Oconee provides a cable TV and wired internet. 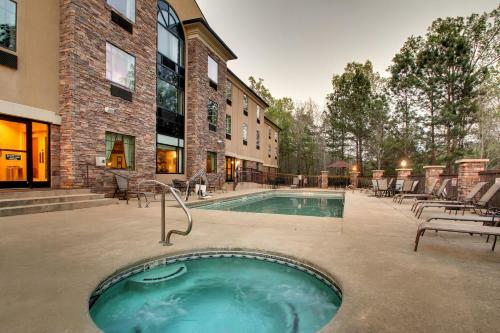 Select suites include a spa bath or sofa bed.Guests will have access to free Wi-Fi and a business centre throughout their stay at this Eatonton Lodge on Lake. 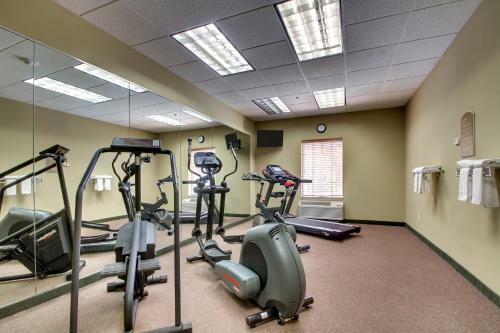 A fitness centre and sauna are provided. 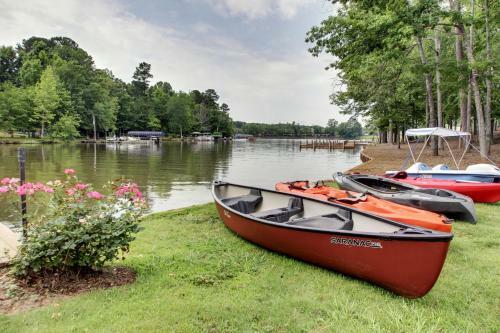 Boat slip access and launderette are available.The Native American Rock Eagle Monument is 10 miles away. 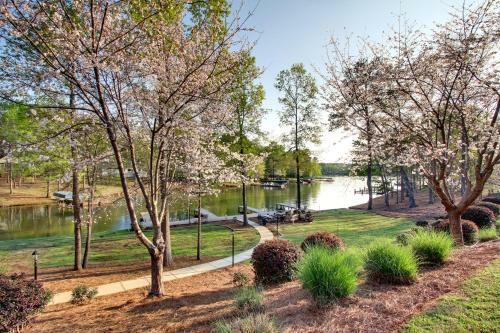 Guests will be 2 minutes' drive from Cuscowilla Golf Course and 17 miles from Oconee National Forest. 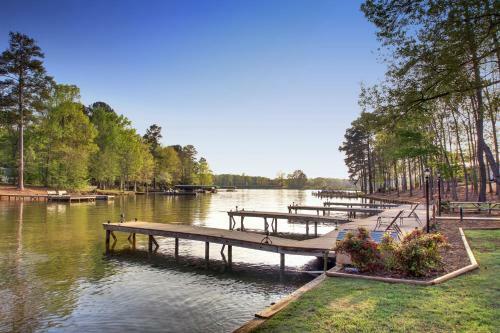 Add The Lodge On Lake Oconee to your free online travel itinerary.